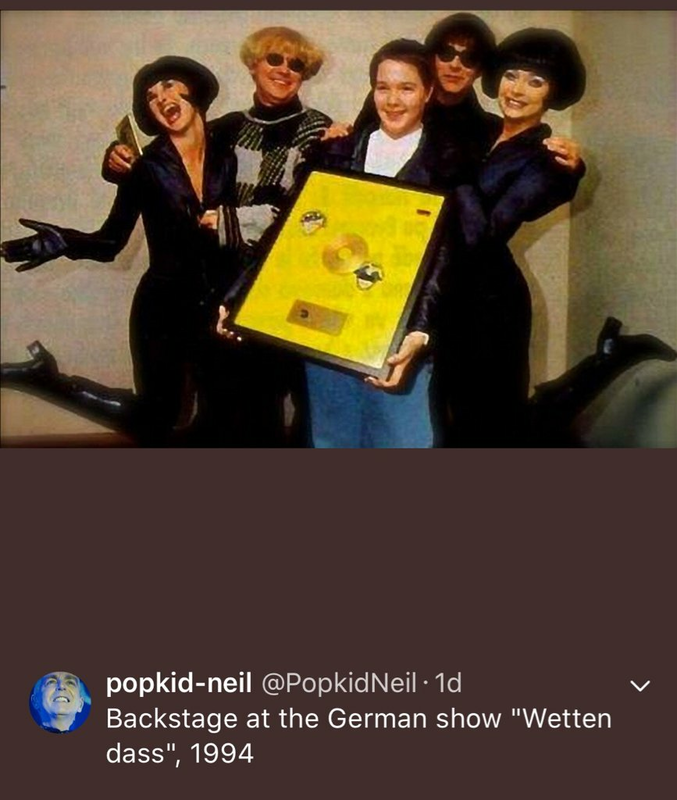 Neil Tennant Very Gold CD Award ? Have just seen this for sale on eBay starting at £350. It also appears in the 'completed/sold' items by a different member. I'm a big fan of the whole Very era and was drawn to this, but wanted to get the opinions of people on here first. The autographs look real to me, but the award itself looks a bit, shall we say, naff? I like the orange spotty background and the Go West heads but the CD looks standard. Re: Neil Tennant Very Gold CD Award ? So did Neil sell it? That’s the one I have!! Didn't even realise that Chris and Neil are in the photo. Great disguise. What is Chris doing to that poor woman? Whatever it is, she’s enjoying it.